Here's a short interview between CIO/IT Manager (A) and technology consultant (Q) during their dinner. Q: Which skill needed by IT Managers, technical or soft skill? A: Of course both of them needed by IT Managers. Q: But, which one is more important? A: This answer can be various from one IT Manager to another. Sometimes its depend on company industry, company culture or customers he should handle for. But in my own experience, soft skill can eat larger portion instead of technical one. Q: Interesting, can you elaborate more why Soft skill is more important, since non-IT will think twice to take your position? A: I didn't say that technical things not important, but soft skill is more important one. Why soft skill is important, because IT serve human/people, not computer. To communicate with other people, you will need to have soft skill, to ensure that message between you can delivered perfectly. Q: Give me an example? A: For an example, when the computer system is down, IT team responsible to solve the problem ASAP. Soft skill to explain to user re the condition take an important role. During black out period, user should be informed about what is the problem, how long, impact of the problem, etc. If manager fail to do so, the network problem can become personal problem. 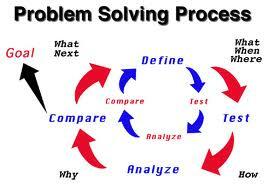 Q: I see, and technical skill use to solve the problem? A: Exactly! Without technical skill, the manager will be difficult to find the root cause of the problem and solution. So again, technical and soft skill needed by IT Manager. Q: So, can you wrapped up, what is the role of IT Manager? A: IT should serve customer through technology. Don't ever say that IT work with technology, period.